Matteo Thun & Partners has signed the Masterplan for 6.400 m2 of the renowned Marina di Venezia Camping, located in front of Venice. A group of 32 small patio houses, called “Garden Villas”, offer a contemporary interpretation of camping bungalows providing both comfort and a close contact with nature. 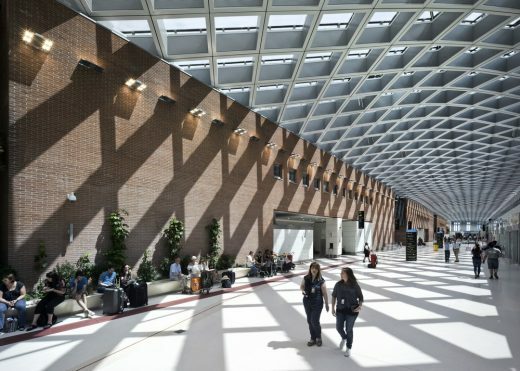 Richard Meier & Partners Completes 5th completed project in Italy. The new project is a beautiful condominium next to the water and it is part of a complex comprised of the Jesolo Lido Village, completed by Richard Meier & Partners in 2007, and the Jesolo Lido Hotel. This project has also been recently awarded the 2013 AIANY Architecture Award. The building is part of a complex comprised of the Jesolo Lido Village, completed by Richard Meier & Partners in 2007, and the Jesolo Lido Hotel.